This entry was posted on Friday, October 18th, 2013 at 9:33 am	and tagged with Raoul Walsh, The Roaring Twenties and posted in Uncategorized. You can follow any responses to this entry through the RSS 2.0 feed. Loved that scene as well! 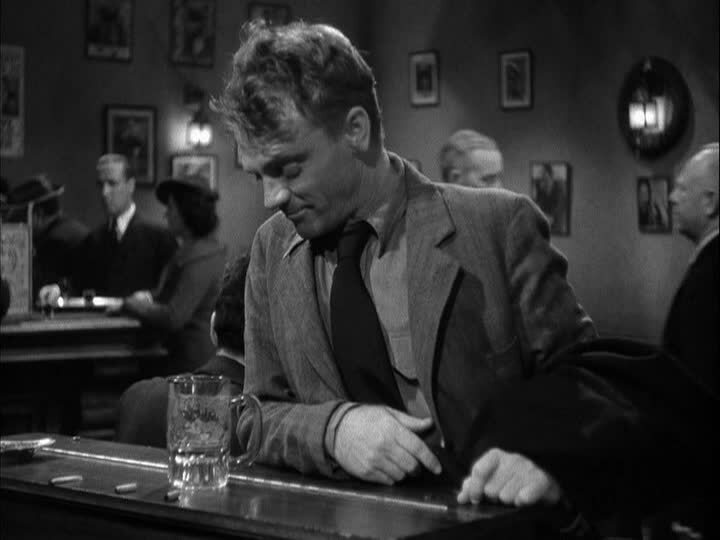 Cagney’s ability to play a tough character, yet show such warmth and vulnerability was amazing. Great film! Love this movie! I haven’t watched it a very long while. That scene with the mug and the piano is so surreal and significant. Great post! Thanks for the kind words, everybody. I threw this up almost as a lark but now I’m considering making “My Favorite Moment in . . .” a regular feature on this site. Thank you for mentioning “The Roaring Twenties” which is a film I will mention when I get to the list of “My Favorite Raoul Walsh Films” That favorite scene of yours is also quite poignant considering that Cagney’s Eddie Bartlett now sees himself as a nobody when prohibition is repealed. Gangster movies have always been my favorite, and Cagney played the tough guy well. Great choice Mike. Thanks for stopping by, Rory!